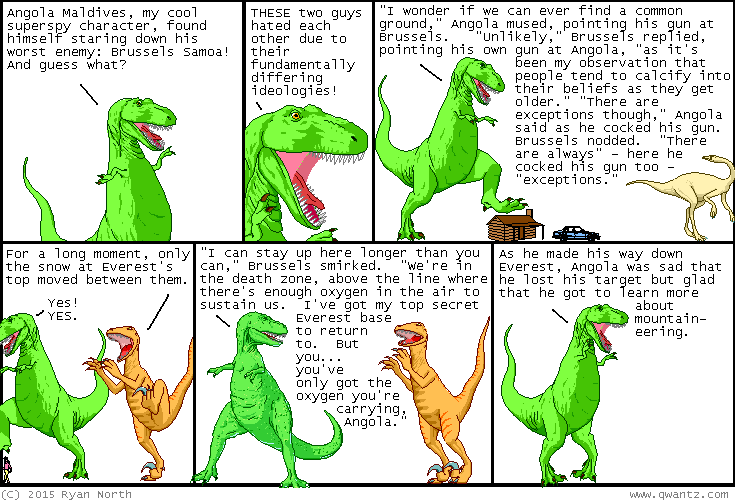 Dinosaur Comics - December 9th, 2015 - awesome fun times! 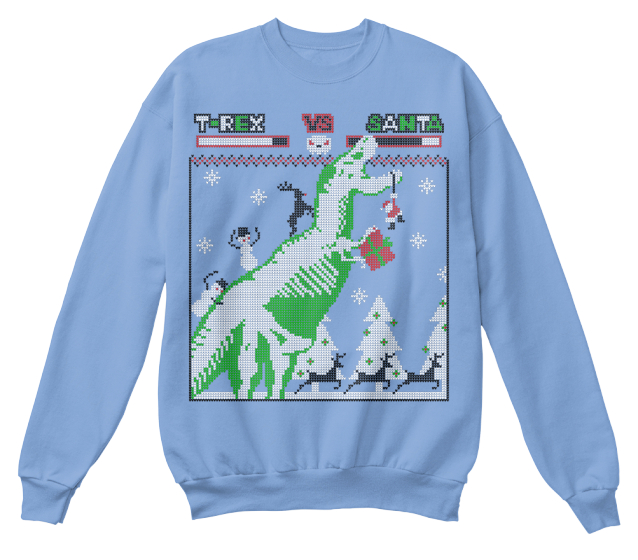 December 9th, 2015: That Christmas shirt I made is back for a few days, actually! It's really great! It was a surprise it got extended but I am not complaining!